Often mistaken as acne, Folliculitis is the name given to a group of skin disorders in which the hair follicles become inflamed creating a painful red lesion, often resulting in various painful surface pustules. The resultant lesion may be superficial or deep and may affect any area where hairs are present including face, neck, chest, back, buttocks, arms and legs. This concern is often suffered by men and women who shave or wax different parts of the body. 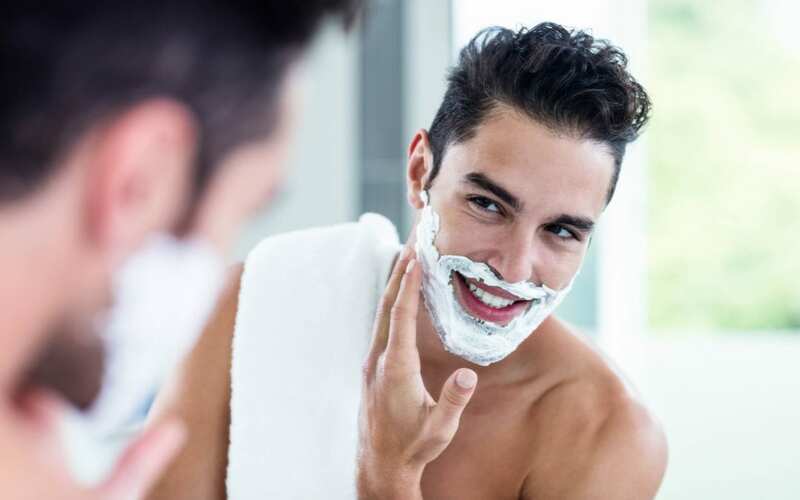 Also known as ‘ingrown hairs’, Pseudofolliculitis Barbae occurs when the hair grows incorrectly due to the hair being either too coarse, curved and become ingrown. This results in inflammation surrounding the hair follicle and may cause a pustular head with much the same appearance as an acne breakout. The inflammation present in this lesion may in turn cause darkening of the skin. Mandelic acid helps lighten these areas of concern should they turn problematic. DermaFix Cosmeceutical Skin Care offers a protocol called Conditioning Alkaline Wash, a professional range offered at selected DermaFix Skin Care Clinics. Performing this procedure alongside the regular shaving or waxing routine may help to soften the skin, retard hair growth and assist with improving hyperpigmentation that is associated with this condition. As a home care option, DermaFix Cosmeceutical Skin Care recommends the use of Brightening Wipes. Formulated with Salicylic Acid and a complex of skin brighteners, Brightening Wipes provides skin resurfacing benefits, working to minimise congestion within the hair follicle thereby helping to combat the formation of pustular lesions, whilst furthermore assisting to maintain an even skin tone. Regular exfoliation of the skin is another way to help combat Pseudofolliculitis Barbae. Exfoliation with DermaPolish enzyme rich powders helps to soften the skin, allowing the hair to push through the skin easier, thereby minimising the ingrown hair occurrence. DermaFix Cosmeceutical Skin Care recommends incorporating Mandelic Acid into your skin care routine. This AHA is well noted for its skin resurfacing benefits and antimicrobial properties and is found in DermaBright, MD Prescriptives Mandelic Cleanser and MD Prescriptives Mandelic Toner. The use of MD Prescriptives Acne Solutions may be incorporated to prevent further clogging of pores which may exacerbate an ingrown hair concern. DermaFix Vitamin B Cream: contains natural yeast extract (Vitamin B) to regulate oil gland production, unclogs pores and promotes scarless healing.